Do you want to promote your business while making people happy? Offer your customers a branded gift card! 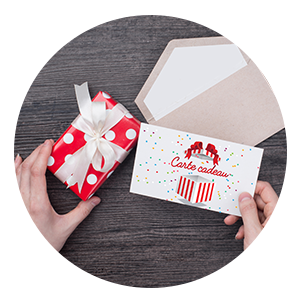 Gift cards enable your customers to give someone a set amount to be spent in your store. It is secure and can be used multiple times. The recipient activates the card and then uses it as a means of payment in your retail outlets. It has truly become a great marketing classic. Convenient to give, it is celebrated by those who receive it. Indeed, 60% of French people have said that it is their favorite gift. Position it at your store’s checkout counter and invite your customers to use it by email. 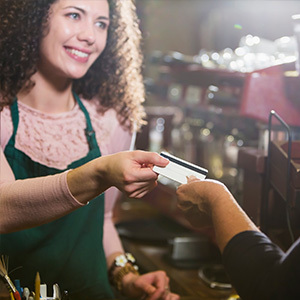 By distributing your gift cards, your customers are converted into ambassadors for your business. They replenish your customer base by recruiting prospects who are not familiar with your brand, thereby you expand your customer base. 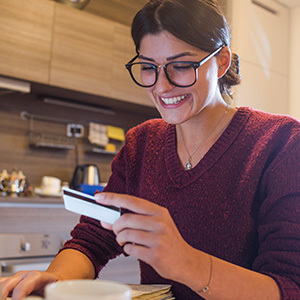 Customers that buy your gift cards are putting their trust in your business, while the card recipient, once satisfied with your service, will in turn be converted into your ambassador. For a professional finish, our teams can assist you in creating the visual look. A simple monthly fee to ensure budget control. No commission on transactions or unspent amounts. You can offer a unique card, which can be used in one or several stores, on one or more occasions.